My practice is provocative dealing with issues that require certain self-assurance. 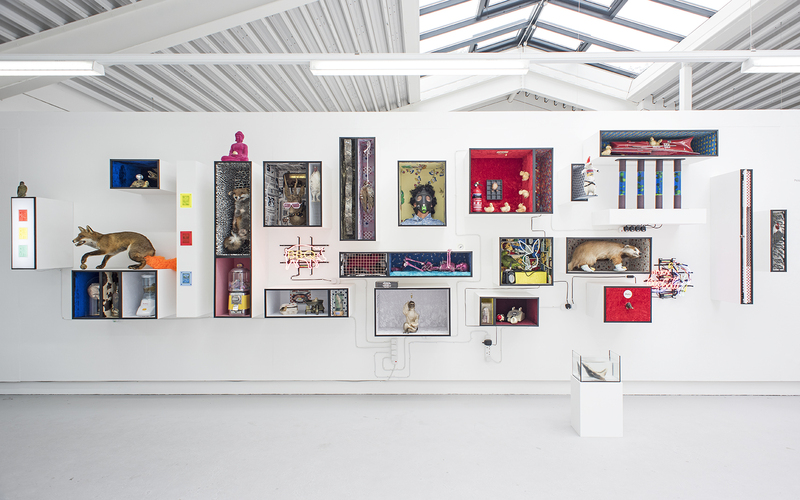 In crafted installations I build humorous and unnerving narratives with taxidermy animals or other sourced objects. I construct the installations with an attention to detail while my dry, sarcastic sense of humor mainly the driving element of my practice. In early sculptural painting works I have demonstrated competent making skills and the ability to think through and build complex physical structures and my interest towards animals has led me to the point where I am now. My practice is mainly dealing with the idea of using an animal as a form of material while creating a humorous, well-crafted surrounding to modernize taxidermy in art.